AISTER, the aluminium shipyard located in Vigo’s bay, has delivered the aluminum patrol boat model RAL-750-ZSF-OPEN to the Military Arsenal of Cartagena. The new boat is included in the Project SVAP (Surveillance Nearby Water System). This patrol increases the security of ports and boats by carrying out missions of vigilance and protection of the waters that share the Military Arsenal of Cartagena and Navantia. 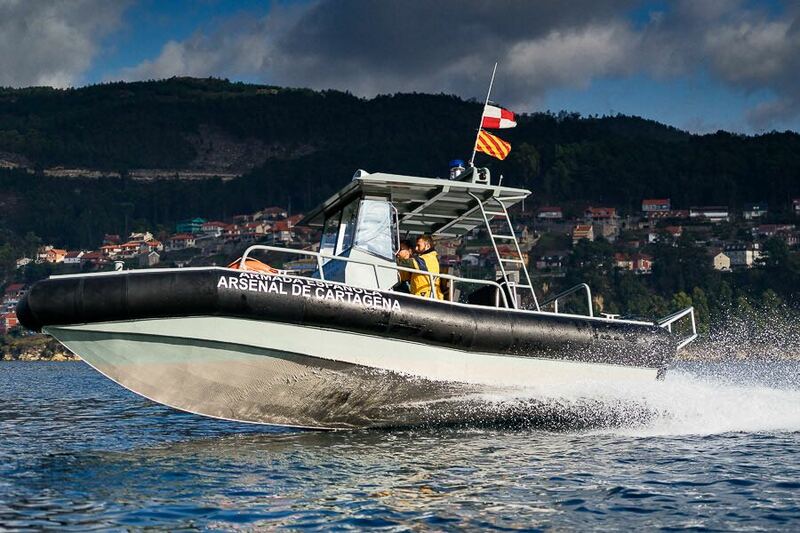 This fast intervention patrol boat, of 8 m in length, a hull built in aluminum and designed to be operated by Spanish Marine Infantry, stands out for a high speeds (maximum 37 knots) and an excellent behavior during navigation in all type of conditions. This aluminium patrol boat adds potential improvements such as a non-floatable flotation reserve that ensures buoyancy in any flood condition, is prepared to accommodate up to 4 equipped military and has been built with high quality maritime materials especially suitable for continuous use, approximately 1000 h / year . To make the boat more functional, the patrol boat includes a self-emptying bath, a structural hatch and a support piece for a machine gun in the bow, two 200 HP four stroke-engines, console equipped with controls and control clocks, a tank of fuel of 450 l capacity, an aluminum bollard in the bow, two cleats on each side of the boat and an electrical installation with two batteries, a search projector, a megaphone with siren, a fixed VHF equipment, navigation lights, police lights and electrical panel. On the other hand, for safety and rescue, the RAL-750-ZSF-OPEN was delivered equipped with two fire extinguishers, two lifebuoys, six rockets with red light and parachute, six flares and a type C kit. In addition, it complies with CE Marking of Directive 2013/53 / EU and the vessel was delivered with a user manual to facilitate its proper use and operation. 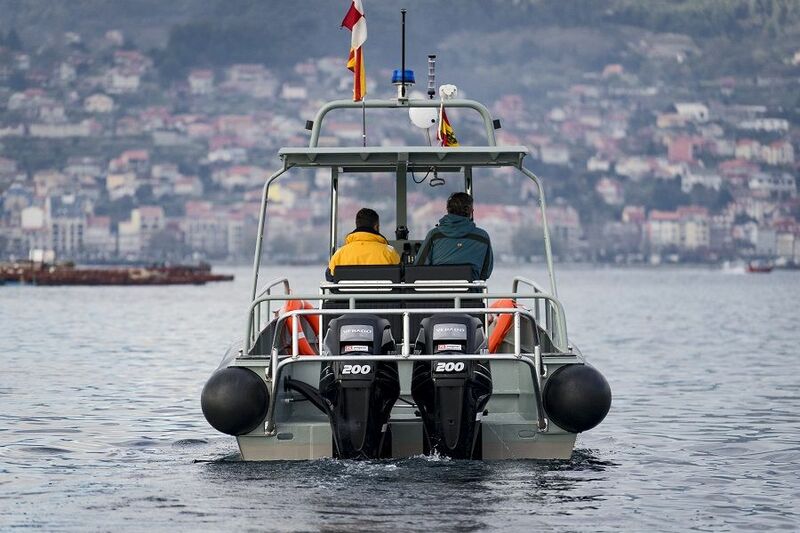 The system developed by Navantia allows the detection of any unknown boat that approaches the perimeter of safety established in docks and marinas as well as the boats moored in these. Based on artificial intelligence, the system detects possible threats and works through radars and sensors linked to one or more control posts ensuring that boats can’t pass without being detected since this surveillance network is operational 24 hours a day and 365 days a year. Among its advantages, the system offers GIS (Geographic Information System) location, the recording of images and data and the generation of reports that control maritime traffic and environmental monitoring (detection of spills or toxic clouds).